Click Here to go to the main competition page. GTA Brews is excited to announce our third annual, nation-wide, homebrew competition for beer, mead, and cider; Brew Slam 2017 (#BrewSlam)! This is an AHA/BJCP sanctioned competition, and also part of the Canadian Brewer of the Year circuit. Judging will be performed by BJCP ranked judges and pro brewers, using the BJCP 2015 Guidelines. Entry limits: 1 entry per classic style subcategory (1-26, C1, M1). 2 entries per specialty category (21B, 27-34, C2, M2-M4), must be different beers. Max 15 entries per person. Account registration is open now! Visit the Brew Slam page for details on rules, prizes, and more! This will be our 3rd year running this competition, and we’re excited to make it even better. Last year we had; 689 entries (117% increase over 2015), avg flight of only 8.67 entries/pair, 52 judges, 22 stewards, entries from 9/10 Canadian provinces, and over $7,000 in prizes. This year, we expect to become the largest homebrew competition in Canada. We are Toronto’s local, as well as Canada’s largest, homebrew club. Since establishing in 2013, we have worked to strengthen and grow the homebrewing community through education, events, competitions, and camaraderie. We bring Toronto area homebrewers together in person, and online, to create a friendly community where we share knowledge, talk shop, and provide feedback on each others homebrews. We welcome members of all experience levels including; potential brewers, new brewers, experienced brewers, and pro brewers. Brew Slam 2016 Awards wrapped up just over a week ago, results have been announced, scoresheets were posted, and prizes will be mailed (and emailed) out soon. I think it’s safe to finally start writing this wrap up post after what seems like almost a whole year of prep! Announcing the results from the BJCP component of the 2016 Cask Days Homebrew Competition! Please check the PDF link above for the list of winners. Congratulations to everyone that placed in the competition! Judges were asked to nominate 1-3 beers from their table to move onto the selection component of the competition where the 10 brewers were selected. In total 21 beers were nominated for the selection round, and it was very difficult to pare that list down to only 10 beers. The selected brewers have been notified privately so we can begin planning, but their names won’t be announced publicly today. Cask Days will announce their names in early August. Scoresheets containing the judge’s feedback and scores are still being sorted, but they will be sent out very soon. In total we had 79 entries from 44 brewers submitted. Thank you to our 16 judges, and 5 stewards for their hard work on the judging day, we couldn’t have done this without you. There were plenty of excellent beers submitted and we wish we had enough capacity to brew more, but we we’re only able to select ten. Don’t forget that Brew Slam 2016 is coming up in September! If you enjoyed this competition, you’ll enjoy Brew Slam even more since it is our flagship homebrew competition. We have thousands of dollars in prizes up for grabs, plus several Pro-Ams! Thanks for Cask Days and Toronto Brewing for their partnership on this competition! Here’s a few pictures from the final round to tide you over! We are very excited to announce that GTA Brews, Cask Days, and Toronto Brewing have teamed up to collaborate on the first ever Cask Days Homebrew Competition. The competition will take place this July, and the deadline to enter is July 12th. Visit the competition page to learn more and to register. Spring Showdown judging happened yesterday April 27th. Scoresheets will be emailed out in the next week or two. First of all, a huge thanks to all the volunteers for their hard work yesterday. Without the hard work of the judges and stewards this wouldn’t have been possible! I believe this competition was a huge success! Also a huge thanks to Jordan and Rainhard Brewing for hosting the judging! Also thanks to Patrick Brown, Mark Verok, Andrew Byer, and Eric Cousineau for acting at drop off locations! View of the judges hard at work! We had 63 entries, 16 judges, and 6 stewards. I believe the judging quality was overall high, and from where I was it seemed like judges felt comfortable and were able to focus on writing the best sheets possible. Announcing Spring Showdown – Homebrew Competition! Full details are posted here! Judging: Wednesday, April 27th, 2016 at Rainhard Brewing Co. The third competition in this series will take place in April and have the theme, Spring and Warm Weather Beers! We’ve also added cider for the first time! Also, we have updated our software to BCOE&M 2.0.1! Check out the slick new UI! Brew Slam 2015 judging and awards wrapped up last weekend and it was quite a whirlwind of activity. 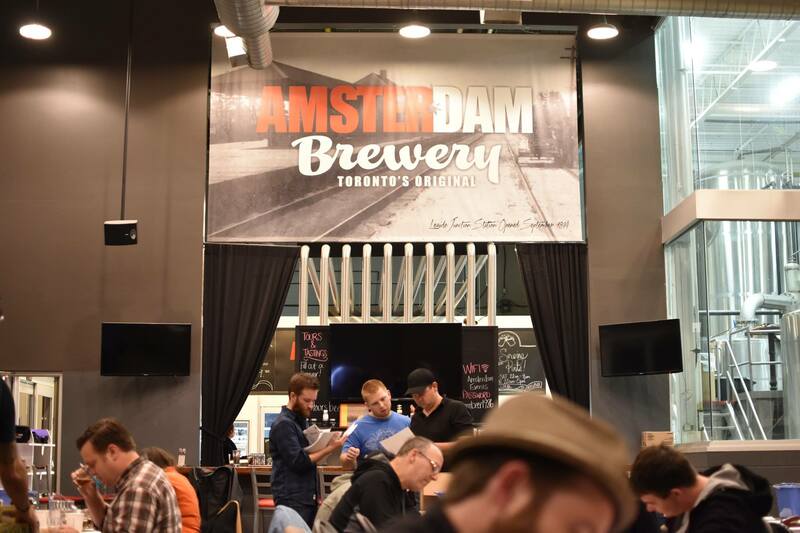 If you haven’t noticed yet, results from Brew Slam 2015 have been posted to the site. We ended up with 318 entries, 31 judges, and 9 stewards over both days of judging. Pretty great turnout for a first year competition! Brew Slam 2015 – Judging This Weekend! Our first annual BJCP-sanctionned competition, Brew Slam 2015, is here and we are very excited. The entries are all in and we are working on unpacking and sorting them all before the first judging day on Friday. We will update when we have a final tally of entries. We are adding sponsors constantly and already have a few Pro-Ams lined up for winners! This competition is part of the Brewer of the Year circuit has entrants from all over Canada. Tickets are now on sale for the Brew Slam Pop-Up Bar, where the awards for Brew Slam 2015 will be presented. Check out the Brew Slam 2015 page for details. Judges and stewards we need you! Please register here. Every judge and steward will receive $20 in ZackBucks to be used at Toronto Brewing. I thought this would be a good place to start documenting all the awesome prizes our winners from the Brew Slam 2015 Homebrew Competition will get. Time to get excited because we have some amazing prizes that will make you want to enter and win! Follow this link to register!